The technology is new therefore there are actually more questions than answers right now. This means that it is an ideal time to enter the space. You can become extremely knowledgeable in a space that is consistently growing, thus it is the right time to jump in and start learning. I had the pleasure of interviewing Debbie Hoffman, the Founder & CEO of Symmetry Blockchain Advisors, who works with clients in their endeavors related to education, strategy and development of blockchain solutions. 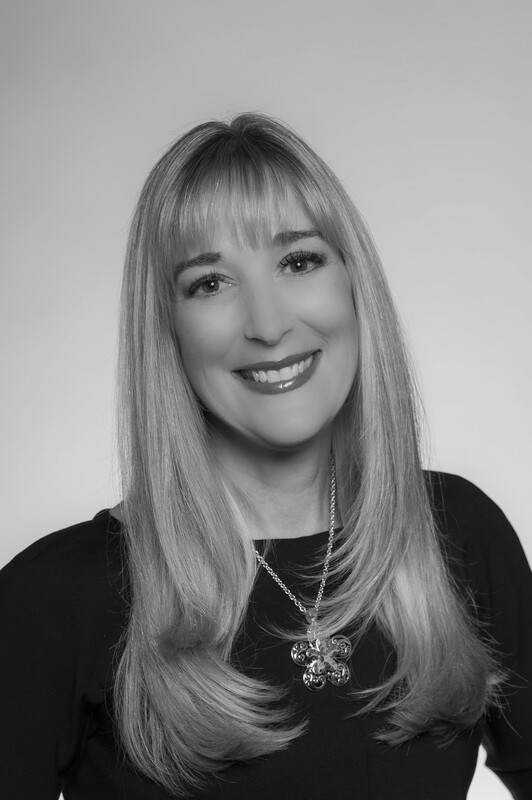 As an attorney with experience in financial services, law, academics and technology innovation, Debbie brings a unique perspective to blockchain innovation. Debbie was previously the Chief Legal Officer at a financial services company, was a finance attorney at Wall Street law firm and served as a professor at the Florida A&M University College of Law and the University of Central Florida. Thank you for the opportunity. I have always been interested in innovation and a, particularly intrigued when it crosses over into the legal and financial services realm. While I have known about cryptocurrency for years, it wasn’t until a few years ago when I saw the power of enterprise blockchain. I was intrigued by the way it could transform the way business is performed in law and in the mortgage industry. What captured my attention, at first, was the immutable and transparent nature of record keeping. I realized that this is the answer to many problems in law ranging from regulatory compliance and audit to litigation — such as record authentication. I proceeded to understand the power of mortgage in a supply chain — and related that to a mortgage supply chain where records that get transferred from party to party within the lending process. Of course, as ICOs became more popular and the needs for legal expertise became needed in the field, it was a natural fit for me to work in some capacity with those seeking assistance in that area as well. Of particular interest to me are projects related to the mortgage industry. I work with several companies that are developing blockchain solutions in different components of the mortgage process. I am involved in several innovations that have different entrance points in the mortgage supply chain — origination, secondary trading/capital markets and closing. Intertwined with that is my work with companies in this space focusing on identity. The identity component has tremendous potential in that it will not only transform the way credit is used in lending, but it will allow more direct ownership of data related to identity and ultimately ease and shorten the flow of the mortgage lifecycle. Often the phrase is behind every successful man is a woman who supports him. In my case, I have a man, my husband, who completely supports me. He believes in what I am doing, encourages me to take changes, and helps me push my limits when I am skeptical or nervous to go further. Furthermore, he never doubts my abilities and helps me to know my value and not have that diminished by outsiders who don’t understand why have so drastically changed my career path. Lastly, as a savvy businessman, he listens to some of my challenges and is always there to offer advise. 1. The opportunity to transform businesses as we know them today. 2. A technology that encompasses a wide variety of skillsets and gets people energized about the way they do business. 3. The potential for liquidity flow across the world. 4. The ability to help the greater good — specifically in the area of identity for those who don’t have it. 5. A way to transform recordkeeping and no longer having to fill out pages of information about ourselves. 1. The PR around what it is and how it seems to be primarily related to crypto and not enterprise blockchain. 2. The ability to scale in speed and capacity to the degree that we will need it to scale. 3. Making sure it is used for the greater good and not overcome by nefarious players. 4. Making sure cyber controls are in place so that our single source of truth is not lost or hacked. 5. The acceptance of traditional institutional players to understand and utilize it in their enterprise adoption. One of my biggest strengths is being able to connect people and network the right people to work together. When I walk in a room full of people, I see it as the old fashioned “memory” game of cards where you need to match up the pairs. I want to put people together who have similar interests and I thrive on meeting people and later realizing how their story fits into the puzzle. So, among my success stories come a variety of people who I’ve matched-up together — whether newly graduated students to job opportunities, entrepreneurs to investors or simply information seekers to those with the expert knowledge. · While blockchain is a technology and you may not consider yourself a technologist, do not be daunted to get your feet wet. You can understand the basics and learn to apply them even if you don’t understand the nitty gritty tech details. · The technology is new therefore there are actually more questions than answers right now. This means that it is an ideal time to enter the space. You can become extremely knowledgeable in a space that is consistently growing, thus it is the right time to jump in and start learning. · Along with item 2 above, learn as much as you can about the technology. Perhaps pick an angle about it that you want to learn about — whether it is the applicability to a specific industry or how something in particular works within the technology. Subscribe to feeds, read articles, watch videos, participate in webinars and attend meetups. All of these will help you learn. Women grow when they can learn and converse with other women who speak their language. Ideally the more women who are involved, the greater the opportunity. We need a mix of genders in any profession, but it’s great to be surrounded by other women to support our growth. If we make a concerted effort to include women in this budding industry, there will be such growth. Keep pushing. Just when you think that you’re done or not sure, push further — don’t give up and continue to climb. I continuously try to overcome doubt and push to the next level. A way in which we communicate with each other in a positive and friendly manner. Of course, as humans we bring emotion into our interactions and if we are having a bad day, it is often transferred to all those with whom we interact. But people who are happy make those around them happier so why can’t greatness be obtained with a positive attitude? My movement would be to try to inspire people to see the glass as half full, the positive side of things, and to move forward each and every day with a happy attitude instead of with doubt, cynicism and in a skepticism.